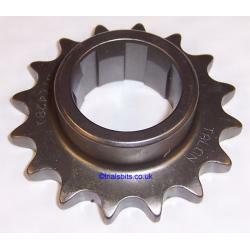 A Talon gearbox sprocket for the BSA C15 and B40 road going models. These are suitable for use with a 428 chain. Available with 15, 16 or 17 teeth, please choose your preferred one in the dropdown.